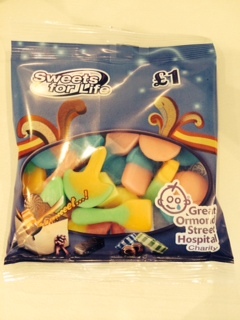 Money raised by Sweets for Life Ltd in 2013/2014 is helping to fund a new Surgery Centre at Great Ormond Street Hospital. The new centre will bring all of the expertise in anaesthesia, surgery, recovery and high dependency nursing together in one place. Fundraising continued throughout 2012 for the new Birth Defect Research Centre and in October HRH The Princess Royal attended the official opening of the centre at Great Ormond Street Hospital. 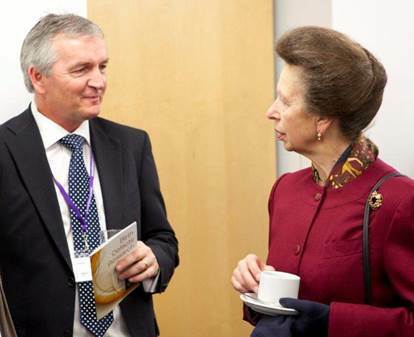 Mark Higham is pictured here with HRH The Princess Royal. Fundraising will continue throughout 2012 towards funding europe’s first birth defect research centre at great ormond street hospital. 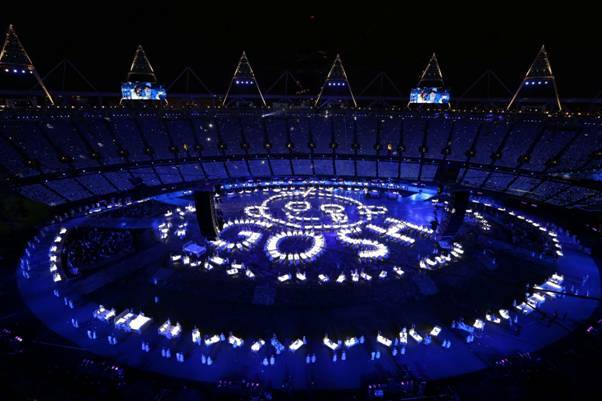 Some patients and hospital staff from Great Ormond Street Hospital (GOSH) were lucky enough to be involved in the London 2012 Opening Ceremony. "We are so grateful to Danny Boyle and his incredible team for inviting the hospital to be involved in the Opening Ceremony for London 2012. "It is a wonderful honour to be part of such a historic event for London and for the whole of the country. The children, their parents and staff who took part were sworn to secrecy and it’s great that we’re now able to share our excitement with everyone. Thanks again Danny and good luck Team GB." Nine patients and three members of hospital staff were involved in the opening ceremony. 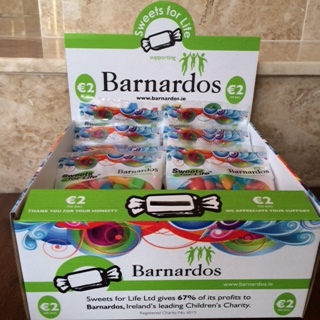 We recently launched our new redesigned boxes and sweet bags for Sweets of Life: Great Ormond Street Hospital and Sweets for Life: Barnardo's. This really is an amazing list. 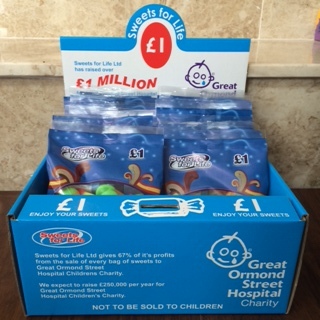 Throughout 2011 Sweets for Life Ltd will be donating all money raised to the Great Ormond Street Hospital "Bring Research to Life" campaign with an emphasis on the new Birth Defect Research Centre. Bring Research to Life is a campaign focused on increasing the funding available for research projects and infrastructure and advocating the vital role of research in the advancement of paediatric care. The total cost for the urgently needed new Birth Research Centre is £5,000,000. This centre will be the only one of its kind in Europe, providing an urgently needed beacon of hope for the children and families across the world whose lives are affected by birth defects, offering them faster diagnosis and better specialist care. We will give regular updates throughout the year of the money being raised. Sweets for Life franchisees have helped to raise a staggering £1 million for Great Ormond Street Hospital Children's Charity. 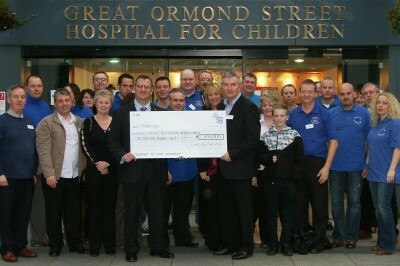 During March 2009, Cath and Mark Higham and 28 franchisees attended a £1million Celebration event at Great Ormond Street. Everyone met at the hospital and had a glass of wine and light refreshments whilst the Chief Executive gave a speech. Everyone then had their photos taken with the £1million cheque. Sweets for Life Ltd has been raising much-needed funds for the charity since 2003, through the sales of our £1 bags of sweets. "This is a fantastic amount to have raised for a really worthy cause and we are all delighted to have been a part of it. We would like to thank everyone who has supported us in any way." - Mark and Cath Higham, Directors, Sweets for Life Ltd.
With the money raised, Sweets for Life Ltd have helped fund vital equipment and rooms throughout the hospital; including an ECG room, Patient's single bedroom and much more. 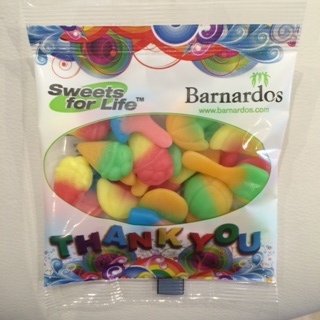 "Sweets for Life Ltd. have been fantastic fundraisers, raising a phenomenal amount for the charity. We're hugely grateful for all their support, which has helped to fund much-needed medical equipment and resources."